Blue Competition Cycles was founded in 2004 by a group of individuals with engineering and technical product backgrounds. The people behind the company wanted to support a women’s team and had trouble securing a bike sponsor so they relied on their backgrounds to create their own brand of bikes. In the fairly recent past, Jonathan Page raced on Blue before covering the bike’s graphics when the sponsorship ended and then winning Nationals on that “mystery” bike in 2013. 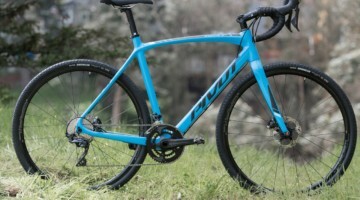 And we here at Cyclocross Magazine have had some experience with Blue’s cyclocross offerings as well, having reviewed Blue’s earlier aluminum bike, which had some heel clearance issues that have thankfully been addressed on newer models. And way back in our early years, our first test bike for Issue 6 was a lugged carbon Blue CXC offering that shared the same construction as a Bailey Miniluv. Blue has certainly come a long way from all of those rides. After being out of the market for brief period, Blue is under new ownership as of 2014 with their sales operations now based in Dana Point, California. But Blue’s goal remains the same; to make the best bicycles possible. 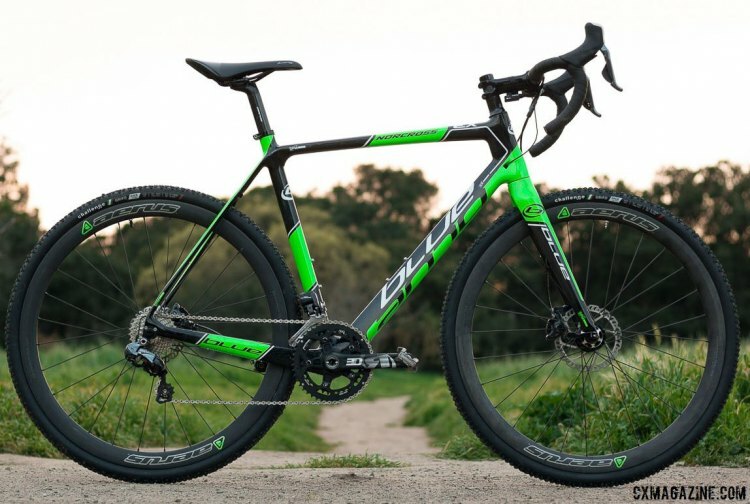 To that end they offer a full range of bikes, including their EX cyclocross series, comprised of three carbon models, an aluminum offering and even a kids ‘cross bike. 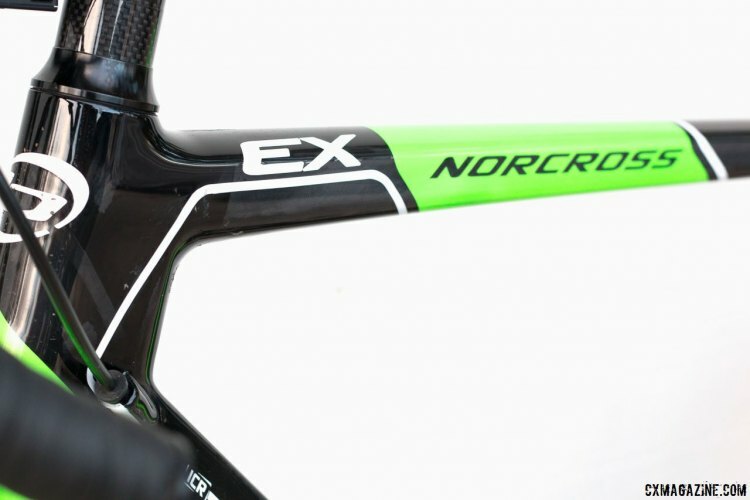 We’re currently testing the flagship Blue Norcorss Ex Di2 model, and have an initial look for you, here. 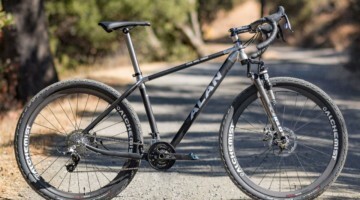 The Norcross EX Di2 is Blue’s top-end cyclocross offering. The frameset is constructed with what Blue calls their Aerus Composites 20T high-modulus carbon fiber and it sports many of the more common features found on bikes today including a PF30 bottom bracket shell and a tapered head tube to accommodate the tapered steerer on the full-carbon fork. 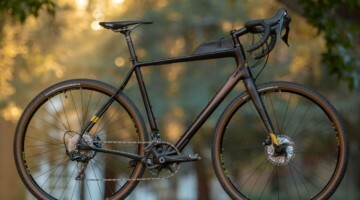 The frame can accept electronic drivetrains, such as the stock EX Di2 build, but is also set up for mechanical systems as well. The front end features a thru axle fork while the rear wheel is secured via a quick release axle. 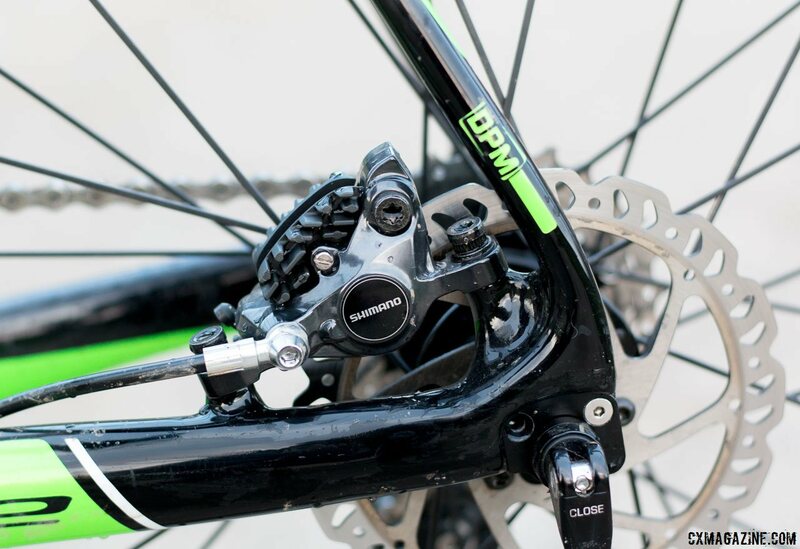 As the bike’s model name suggests, the bike’s build is primarily a Shimano Ultegra Di2 kit, with the 6870 derailleurs handling the shifting and the R785 levers and brake calipers handling the braking. The exception to the Shimano affair is the crankset, which is a double ring Rotor unit with traditional 46/36 ‘cross gearing. The Rotor crankset adds a Euro flair, as some of the European professionals race on the Spanish component company’s cranks. The default chainrings are round, not the company’s ovalized Rings. 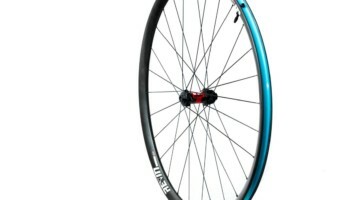 Wheels on the EX Di2 are from house brand Aerus, are tubeless ready and come wrapped in Challenge’s Grifo tire. Cockpit components are also from Aerus. Stay tuned for a full review in the print edition of Cyclocross Magazine. Not a subscriber? Get a subscription to the print and digital magazine for less than a race entry fee. Any word on the quality of the rims? 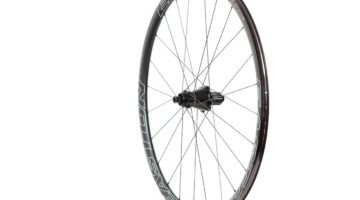 Is the tubeless bead as good as something like Stan’s ZTR Grail?